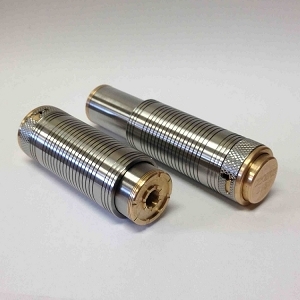 The GGTS is designed after an extremely popular mechanical mod from Greece. 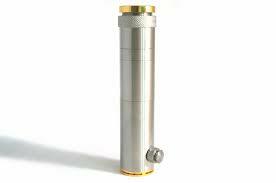 This mod features gold-plated brass contacts, stainless steel construction, airflow control, a telescoping body, a collection chamber for leaks and a design that allows the use of adapters without looking like there is an adapter at all. The GGTS will accept 18350, 18500, and 18650 IMR cells. Airflow can be adjusted simply by turning the ring at the top to expose multiple airholes. The connection at the top is unsealed, so that any leaking liquid can run down into the sealed collection chamber. 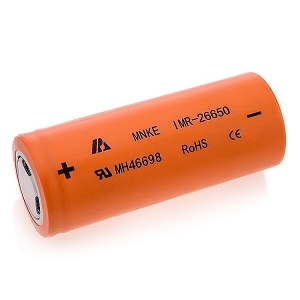 This ensures that you will never be subject to liquid leaking all over your hands, or directly onto your battery. 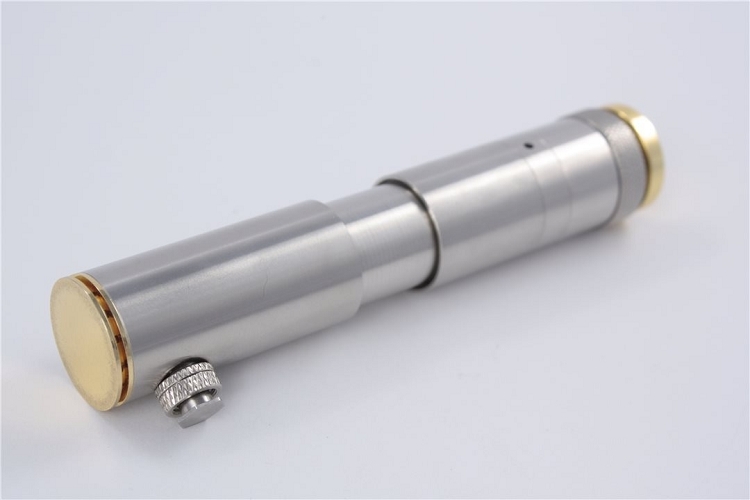 The GGTS has a side-mounted switch at the bottom, complete with a locking ring for safety. 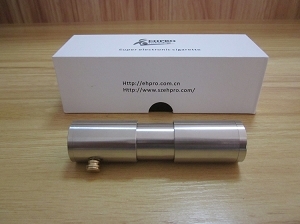 The proven design of the GGTS meets the quality standards and price point that EHPro is known for. This is a great mod with a multitude of features. 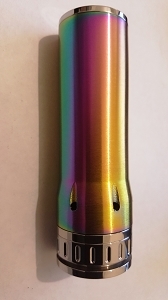 Note: An adapter is required to use eGo-style tanks and cartomizers.